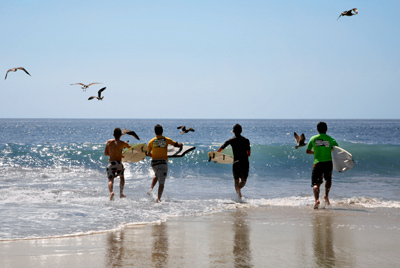 This wonderful beach is located to the south of Puerto Vallarta, in a peaceful area with very little waves, making it perfect for kids looking to play in the shallows. Be sure to bring your snorkel, flippers and mask on your next trip to this beach, which is popular with local families. While you're here you can also make the most of the restaurants at Playa Las Animas to satisfy your hunger with delicious cuisine. Conchas Chinas is an area with impressive rock formations that create small natural saltwater swimming pools. The main draw of this fantastic beach is its location at the foot of lush jungle covered hills that lead down to the ocean, and just minutes away from the Zona Romantica in Puerto Vallarta (Romantic Zone). The sea here is crystal clear, allowing you to easily see the small fish in the shallow water. 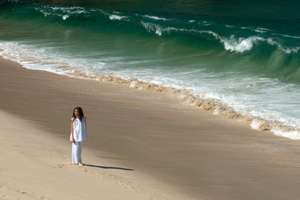 In complete contrast to its name (Los Muertos means "The Dead"), Playa de los Muertos is full of life. 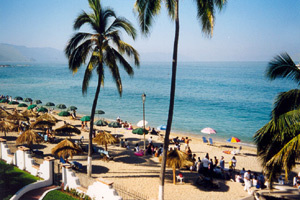 It is one of the most popular beaches in Puerto Vallarta, set at the southern end of the boardwalk, with lots of restaurants close by. 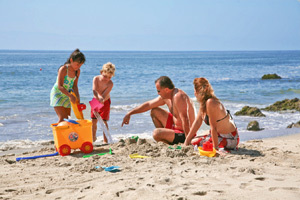 Enjoy the sounds of nearby mariachi music or make a sand castle with your children. 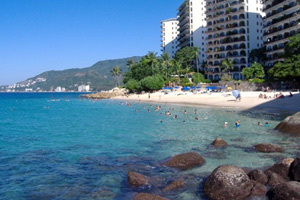 Spend the day on the sand, and then explore the beauty of Viejo Vallarta (Old Vallarta) in the evening. Playa Las Gemelas is made up of two stretches of beach located at the foot of the green mountains to the south of Puerto Vallarta. These beaches are normally visited by people looking to sunbathe, perfect their tan, and relax during their vacation in Puerto Vallarta. The beach is large and is rarely full of people on weekdays. 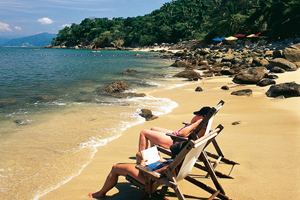 You can't miss out on a trip to Las Caletas during your visit to Puerto Vallarta. This small hidden bay is an excellent place to scuba dive, kayak, and snorkel in Puerto Vallarta, with its crystalline waters offering fantastic visibility among the rocks by the shore. The bay is only accessible by boat, making it essential to plan and reserve your Las Caletas tour before you go. You can also explore this tropical paradise by hiking on trails that lead into the mountainous jungle.